Show Report – Part Three! Scroll down to the final part three of the show report! Read full article |Comments Off on Show Report – Part Three! Show Report – Part Two! Scroll down to part two of the show report! Read full article |Comments Off on Show Report – Part Two! Show Report – Part One! 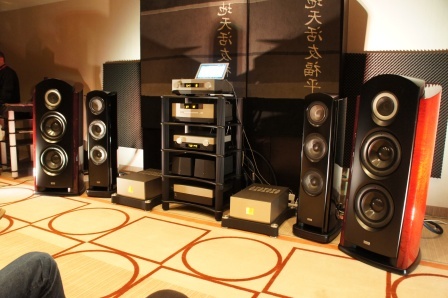 Here is some feedback on the HighEnd Stockholm 2012 Hifi show that took place at the Sheraton hotel in Stockholm 11-12th of February 2012. Read full article |Comments Off on Show Report – Part One! I have published two new driver unit measurements! These ScanSpeak and AudioTechnology drivers will be used in the upcoming Sequence Two – Monitor design. Currently I’m breaking-in the drivers using my DEQX system and to familiarize myself with the driver unit capabilities.